The Everglades was America's last frontier, a wild country long after the West was won. 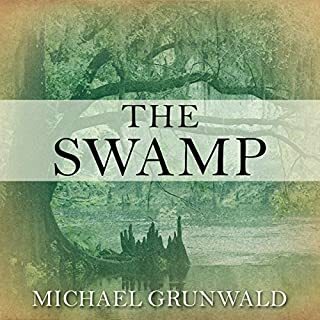 In this book Michael Grunwald chronicles how a series of visionaries tried to drain and "reclaim" it and how Mother Nature refused to bend to their will; in the most harrowing tale, a 1928 hurricane drowned 2,500 people in the Everglades. But the Army Corps of Engineers finally tamed the beast with levees and canals, converting half the Everglades into sprawling suburbs and sugar plantations. Over its long history, Florida has been many things: a native realm protected by geography; a wilderness that ruined Spanish conquistadors; a place to start over; "god's waiting room". With a native population as high as 900,000 (who all died), it became a pestilential backwater with a few thousand inhabitants, but today is our fourth most populous state, with 19 million. The site of vicious racial violence, including massacres, slavery, and the roll-back of Reconstruction, Florida is now one of our most diverse states, a dynamic multicultural place with an essential role in 21st century America. Intelligent, majestic, and loyal, with lifespans matching our own, elephants are among the greatest of the wonders gracing the African wilds. Yet in the 1970s and 1980s, about 1,000 of these captivating creatures were slaughtered in Zambia each year, killed for their valuable ivory tusks. When biologists Mark and Delia Owens, residing in Africa to study lions, found themselves in the middle of a poaching fray, they took the only side they morally could: that of the elephants. Florida, now America's third most populous state, was a remote, under-populated wilderness in the early 19th century. Two men, father and son, were major players in the state's development and eventual statehood. Yet their roles were vastly different and they achieved prominence in totally divergent ways. Great story of frontier Florida. The author of Last Train to Paradise tells the story of the largest public water project ever created - William Mulholland's Los Angeles aqueduct - a story of Gilded Age ambition, hubris, greed, and one determined man whose vision shaped the future and continues to impact us today. Oh, Florida! To some people it's a paradise. To others it's a punch line. As Oh, Florida! shows, it's both of these, and, more important, it's a Petri dish, producing trends that end up influencing the rest of the country. Without Florida there would be no NASCAR, no Bettie Page pinups, no Glenn Beck radio rants, no USA Today, no "Stand Your Ground" - you get the idea. Oh Floriduh. I guess we have always been weird. The beautiful town of St. Augustine, Florida, is the oldest continuously occupied city in North America. Founded in 1565, by Pedro Menendez, of Spain, it predates the Pilgrims at Plymouth rock by 42 years and the English settlement at Jamestown by 55 years. It's old town section with many classic stone and log pole buildings in excellent condition, and its magnificent Spanish fort the Castillo San Marcos, dating from 1672, herald St. Augustine as one of the most amazingly preserved historical towns in the Americas. The paths of the great American robber barons were paved with riches, and though ordinary citizens paid for them, they also profited. 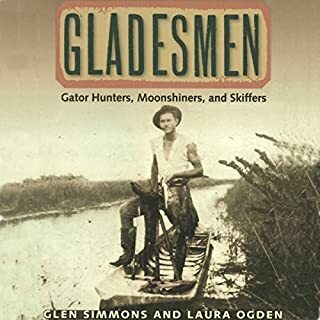 Les Standiford, author of the John Deal thrillers, tells how the man who turned Florida's swamps into the playgrounds of the rich performed the almost superhuman feat of building a railroad from the mainland to Key West at the turn of the century. An extraordinary man and partner of John D. Rockefeller in the Standard Oil Company, Flagler had the vision to build railroads to link this backward territory with the rest of America. Last Train to Paradise shows how he masterminded the nearly impossible engineering feat of spanning more than 100 miles of ocean and islands to reach the southernmost tip of the Eastern seaboard. ©2002 Les Standiford (P)2002 Books On Tape, Inc., Published by arrangement with Random House Audio Publishing Group, a division of Random House, Inc. This book was a pleasant listening surprise. I try to choose books beyond my regular interest for the discipline and to expand my horizons. This book by novelist Les Standiford did the trick. Actually, the book is the nonfiction story of HM Flagler who developed Florida as a vacation destination. Only industrial archeologist can find the remains of the railroad, but Standiford brings the era, the money, the work, and the result to life for those interested today. This is the story of an investment, a dream, ambitions, and human failings. Well read, well written, this book is a good choice. I bought this book prior to our most recent trip to Key West. Listened to it on the train south (appropriate, huh?). I enjoy history that is told through a real person's viewpoint. The drama of the Labor Day hurricane that decimated southern Florida is the focus of the story. Background details of Henry Flagler, the man who built the rail line to paradise, is woven in. Without too many "boring" facts, but enough to give meat to the tale. Included are writing of E. Hemmingway about what he saw in the storm's aftermath. Things too shocking to be published in the press of the day. The stories of many of Key West's notable personalities are included as well. 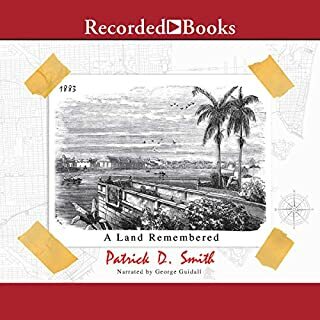 If you're interested in Key West, this is a marvelous primer on a snippet of island's less-known past. I'm a retired attorney from San Francisco who went to see an old college buddy in Florida planning to drive to Key West. Listened to the book on the plane. When we drove the "Keys" I put the book together with the drive. Very enjoyable. I you plan to visit the Keys, you would really like this book. 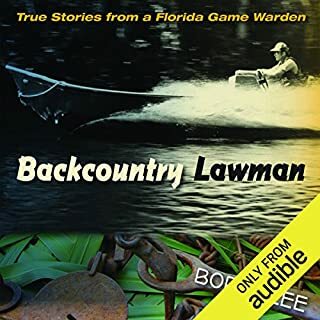 I bought this book prior to our first trip to Key West for listening to on the train. I wanted something a bit more "meaty" than the typical vacation read. The book did not disappoint. 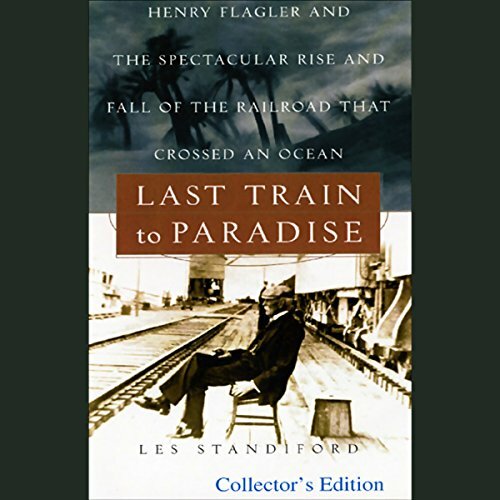 It offers the story of oil barons, and the high life of pre-Great Depression society, and the dreams and goals of Henry Flagler as he envisioned and built the rail line that spanned the ocean to Key West, FL. It was called the eightth wonder of the world for a time. An engeneering masterpiece. Parts of the original train bridges are still standing. The old rail bed became the foudation of the highway to Key West, parts of which are still in use. Unfortunately the Labor Day Hurricane of 1935 destroyed the Florida East Coast Rail Line Key West Extension. The storm also killed hundreds of people. The author spins a tale of harrowing rescues, and recounts the post storm devastation, penned by author Earnest Hemmingway and others. I shook my head at the terrible snafus of weather forecasting and "failure to communicate" that lead to so many lost lives. Listening to the narrator, I found myself holding my breath as the evacuation train headed down the line trying to outrace the storm, picking up stranded rail workers and their families on its way. As we drove our rental car across those same Florida straits from Miami, I could envision the terror of being out there in what seems like the middle of the Ocean. I could feel the fear of mothers for their children and husbands for their wives as the storm drew down on the Keys that horrible weekend. Passing by Mattakumbae, Grassy Key, Sugarloaf Key and others, we could see how flat those little islands are and how easily the twenty foot storm swell would have wiped everything away. The author includes mile marks on the coastal highway in his narrative. Even if you don't plat to travel to the Florida Keys, the story is engrossing. If you could sum up Last Train to Paradise in three words, what would they be? Henry Flagler, the developer of not only the Florida Keys but also the state of Florida. I am very familiar with the keys. I can only imagine what it was like cutting through the mangrove forest in the early 1900s. those workers all lived through hell. Interesting story I've listened to over and over again. Great story of the American determination. 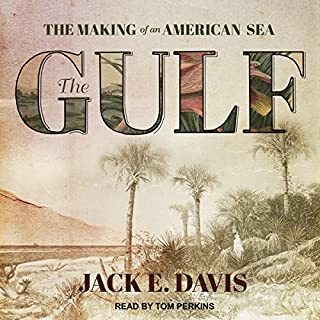 On a trip to and from the Keys and St. Augustine listened to this fascinating story of the Standard Oil magnate who played a major role in developing modern Florida. Hemingway, Hurricanes, landmarks, railroad engineering marvels. Ambition, tragedy, and triumph. This story has it all. for this interested in a slice of American history and business development. easy to listen to. 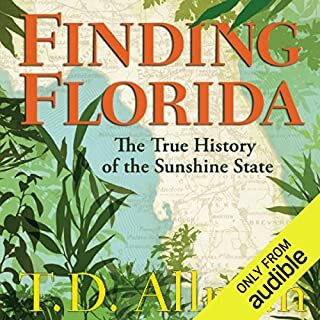 A must " Read " , if you live or visit Florida. Henry Flagler was such a big part of the development of the State.